This is the beer that I specially held back from the big review the other day. BrewDog's Dead Pony Club is a beer I first had in Amsterdam this year and I think it's really special as it debunks the myth that low alcohol beers tastes bland. 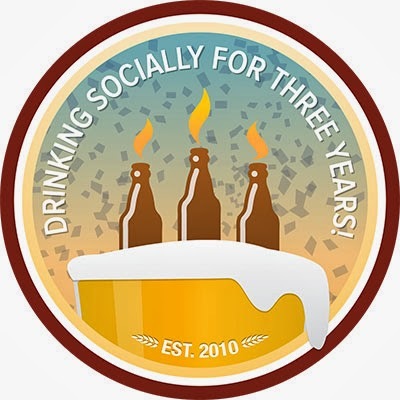 So as soon as this badge was announced I knew I would have no problems at all getting it. All you had to do to get this badge was check into a beer last week, in honour of Untappd's 3 birthday. It's already been retired so anyone looking to get it, I'm afraid your time has passed. The beer pours really nicely, and the BrewDog Teku glass looks seriously good as well! The beers quite a deep amber, almost reddish, colour. It appears to have a fair amount of sediment in the bottom floating in it and relatively little carbonation. Despite this the head has quite good retention but relatively poor lacing for the style. Overall it's a pretty average looking beer. BrewDog's Dead Pony Club has a nice hop driven nose. There's plenty of citric and fruit flavours but they are note hugely dominating, think Stone & Wood Pacific Ale/Oakham Citra's nose. As the beer warms there is a some malt but it's very very light and had a biscuity aroma. A really nice understated nose. For the moment I will put aside that this beer is a mere 3.8% and review it as if it's a full strength pale ale. There is heaps of citrus hop flavour as well as other tropical fruits; everything from peach to pineapple and grapefruit. Nice subtle malt backbone is understated but certainly important to the overall balance of the beer. 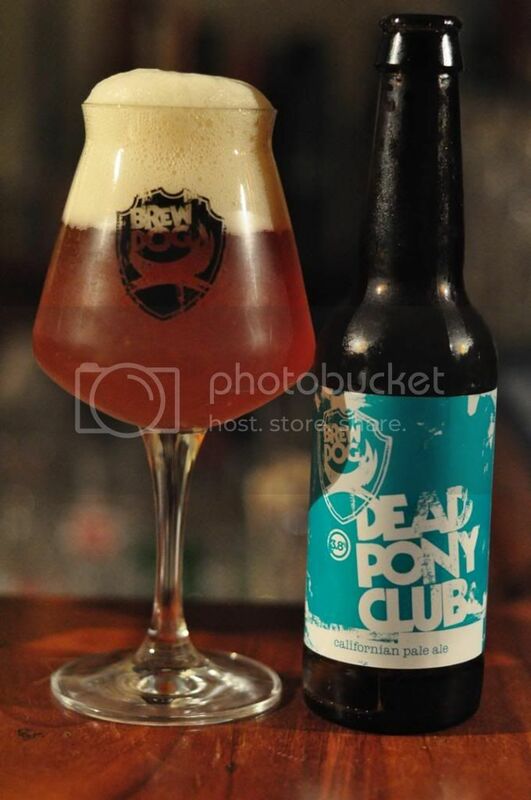 Dead Pony Club is the perfect beer for craft beer drinkers who need to drive home. At 3.8% you could have 1 or 2 at a BBQ and be absolutely fine to drive. As far as my experiences of light beers go, this is unique as it actually showcases flavour. This is a favourite of mine, I actually bought a 4-pack today, and I can highly recommend this one to all ale lovers.